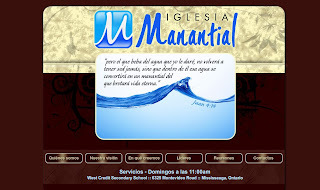 Iglesia Manantial, the first Hispanic Grace Brethren church in Canada, has launched its new website. “We expect this to be a tool that will help us reach the Spanish speaking community of Mississauga and surrounding cities,” said Willy Sanchez, a church planter with GB Canada and pastor of Manantial. Iglesia Manantial (Spring of Water church) is part of the missionary effort of Grace Community Church, a Grace Brethren church in Mississauga, Ontario, led by pastor Bartley Sawatsky.